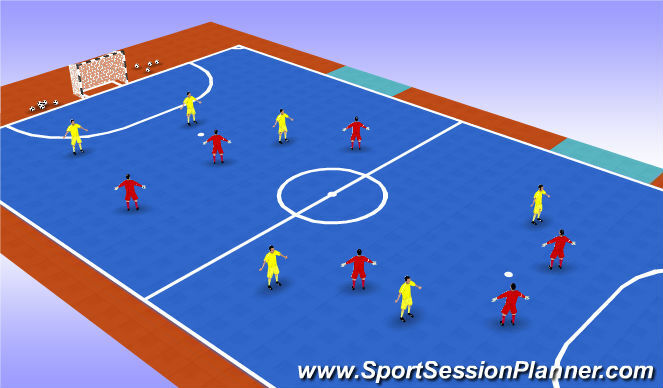 In Box B.Players move across but now work in pairs.receiving and going away and executing turns before passing back.Rotate players so they all work with each other. 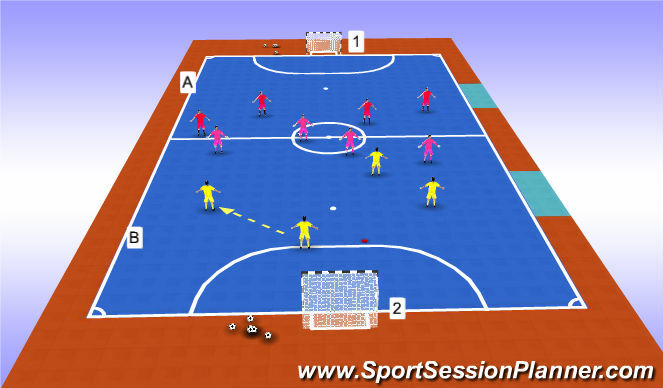 Two teams of 6,3 of each in each half.Three players defend,three attack.No goalkeepers.Score by 1 touch finish in goal area.Balls in goal to start.Defensive three try to play ball into offensive half;attacking three try to score.Players therefore are involved in both playing forward and defending.Coach dictates which end starts.Rotate players so players play in both attacking and defensive half.Emphasis is on 1v1 defending in each half .when opposition have ball. 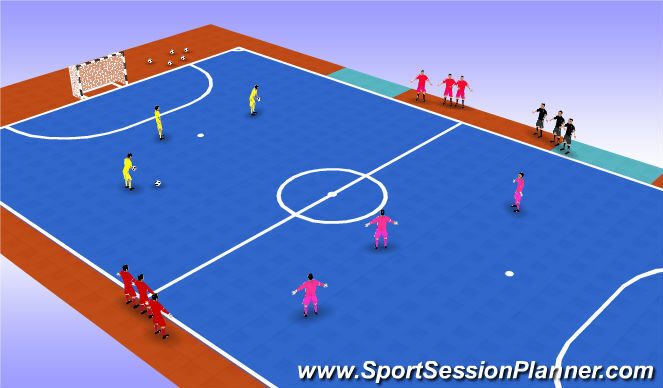 Three teams of four;no goalkeepers.Yellow team have ball and try to run ball over half-way line into half A and attack goal 1.Pink defend in half B.If yellows cross line greens will now defend and Pink team moves into box B to assume defensive position. 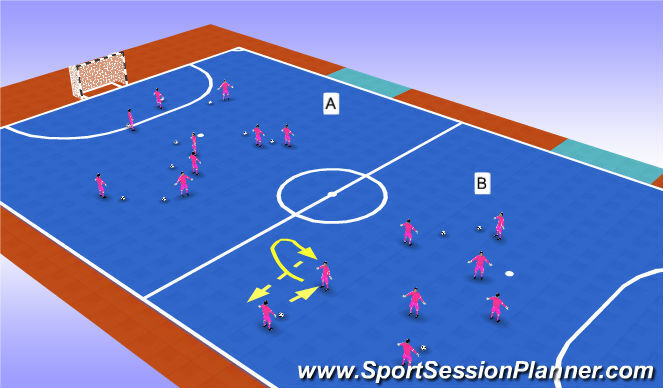 If green tem win ball they attack into half B where Pink will defend.Yellows are then defensive team in half A.Thus is creative waves of attacking and defending and players experience both in quick succession. Two teams of 3,score one touch in area.Winning team stays on.